This is going to be a perfect denim look for winter! Max Mara has collaborated with The Woolmark Company to create a capsule collection of wool denim in celebration of the brand’s Wool Week — showcasing the unique qualities of Australian Merino wool in the process. Pushing the boundaries of traditional wool use, the brand has incorporated six items into its fall/winter ’17 range – including blazers, trousers and shirt dresses — made of 100% wool denim. Although it may look the same as traditional denim, the wrinkle-proof texture boasts increased softness and warmth. Max Mara has utilized innovative 100% Wool Denim fabrics that replicate the look and style of traditional denim – retaining the traditional 3/1 weave – but have added benefits thanks to the natural qualities of Merino wool, including increased softness, warmth and resistance to wrinkles. The twisted, strong wool yarns have been dyed with ecological dyes to imitate natural indigo and have been tested against the stringent guidelines to gain Woolmark certification. The collection will be launching in a number of key cities – from Milan to Moscow – and is slated to reach Sydney during Wool Week on June 20, in the Max Mara Westfield Boutique. 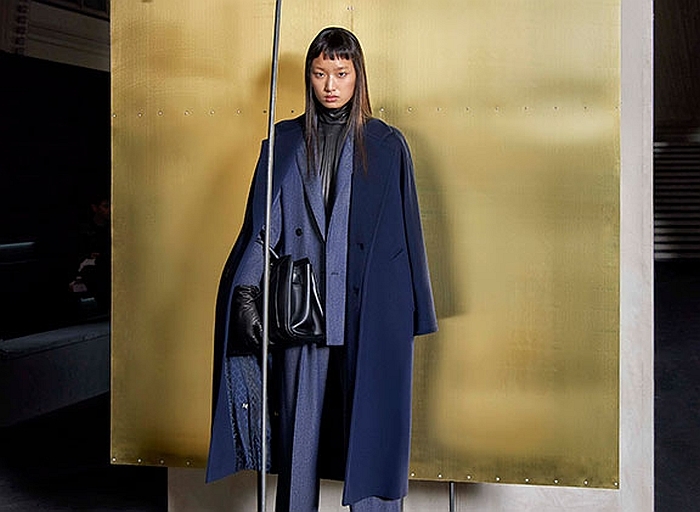 You can shop the current Max Mara collection at Yoox.